Lavinia Thacker has a voice like an angel's, and she happily sings for anyone who asks. The first time she sees the young Duke of Monsey, it is at a party being hosted in the inn's large dining hall for a local councilman's daughter. From that first look, she knows there is something between them, so when she is invited to sing at his birthday party, she is at once delighted and afraid. Why does she feel as though she knows him, when she has never met him before? Or at least, she doesn't remember having done so. But then again, she doesn't remember much beyond the last year and a half. The accident from which she had awakened eighteen months earlier had left her with a terrible scar down her left side, and no memory of anything before she woke up. Is the Duke a part of her past? Does her husband know about it? And how will she handle falling in love with a man who is not her husband or of her social class? The old Duke of Monsey had plans for his only child, Robert, which did not include his marrying a commoner. But Robert is headstrong, and before the duke can stop it, his son and Lavinia Aston are married. 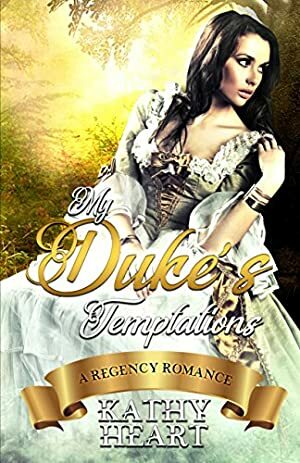 Despite his rage at their action, the duke loves his son, and will not disinherit his true heir, or let his lands and fortune go to the oldest son of his deceased younger brother. His solution involves deception and kidnapping, and a stint at the front for his son. But when Robert returns home wounded, it is to find his father dead, and himself the new Duke. Attempting to relieve the double sorrow of a dead wife and father, Robert spends his time getting to know the villagers for whom he is the chief benefactor. But when he sees his dead wife married to the innkeeper, his rage knows no bounds, until he realizes she does not know who he is. Could he be wrong about her? Has something happened to make his wife forget him? And how will he get her back, if that's the case? Log In to track Fable Charm Historical on eReaderIQ. to be notified each time the price drops on any book by Fable Charm Historical. to stop tracking Fable Charm Historical. Log In to track Kathy Heart on eReaderIQ. to be notified each time the price drops on any book by Kathy Heart. to stop tracking Kathy Heart. We started tracking this book on July 13, 2018. The highest price to date was $2.99 last reached on September 7, 2018.